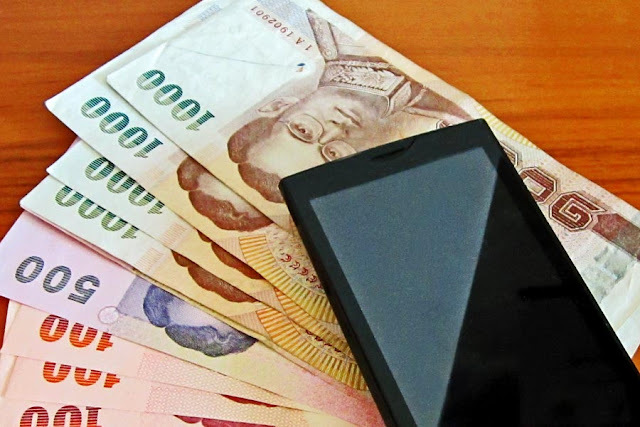 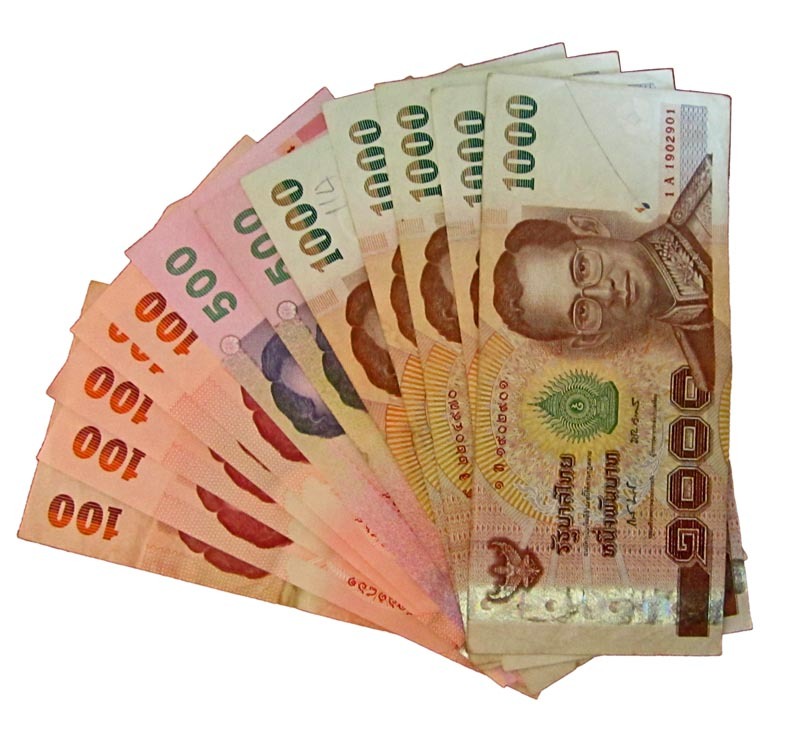 The Baht is Thailand's currency and these images show 1000 Baht, 500 Baht, 100 Baht and 20 Baht notes. Thailand's currency notes cut-out image. A collage of Thailand's currency - Baht notes. 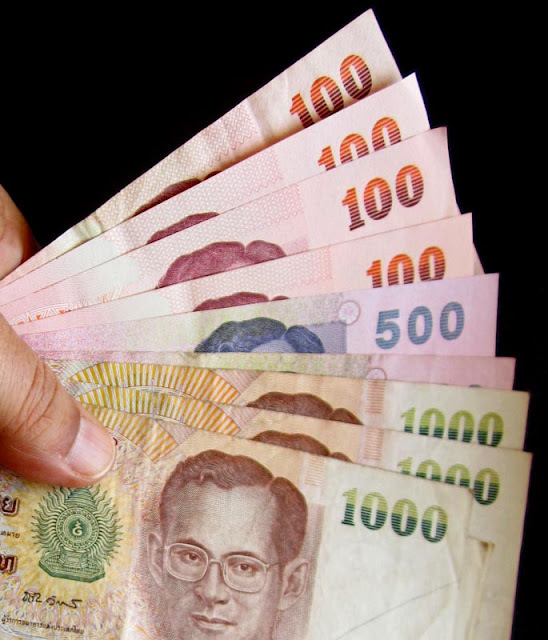 Thailand's currency of 100 Baht, 500 Baht and 1000 Baht notes being held against a dark background. 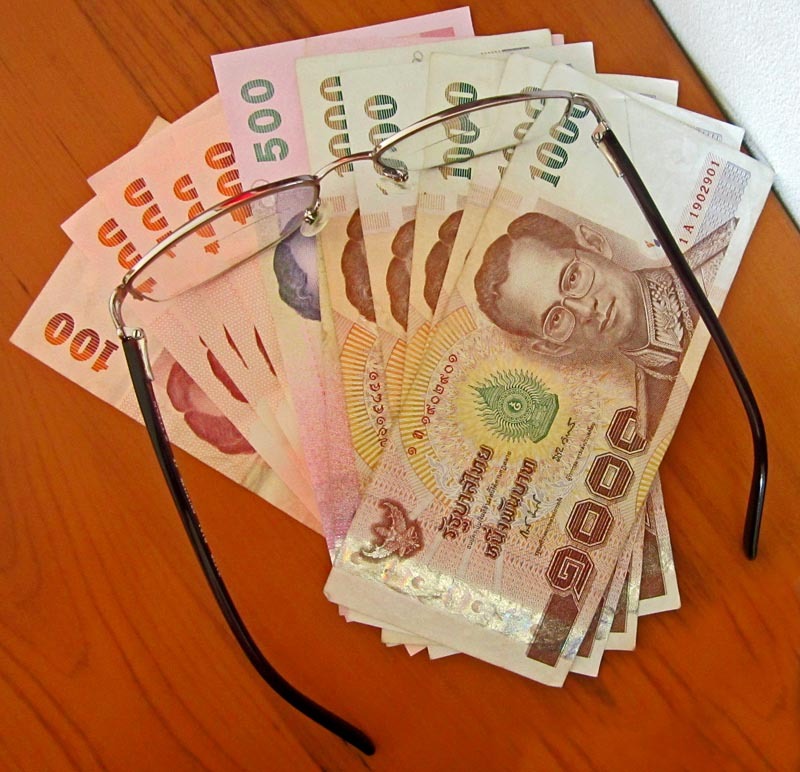 Thailand's currency, the Baht, on a desk with spectacles used as a weight. 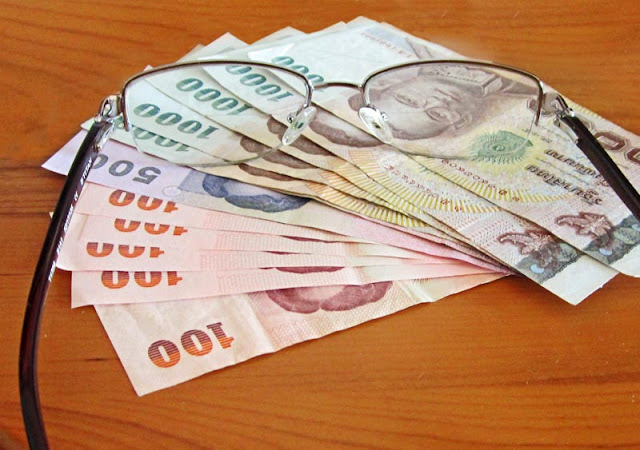 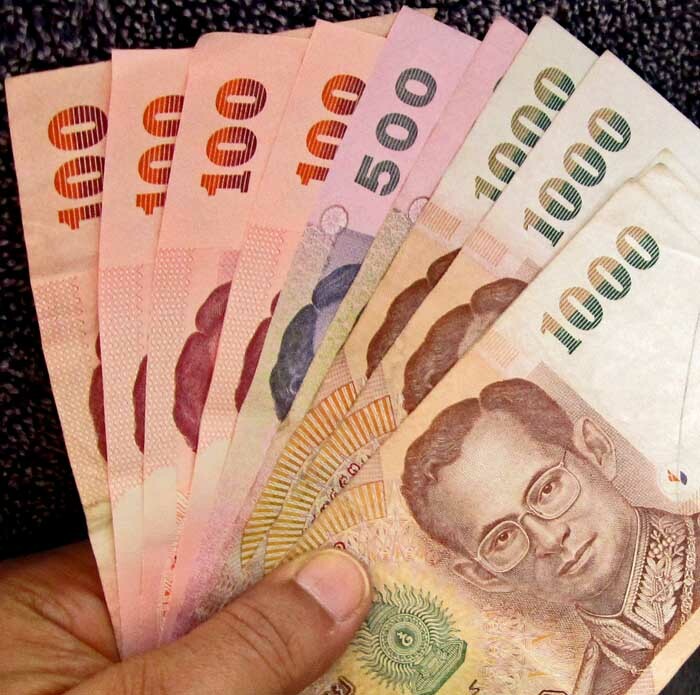 Another photograph of Thailand's currency notes with a pair of spectacles in the image. 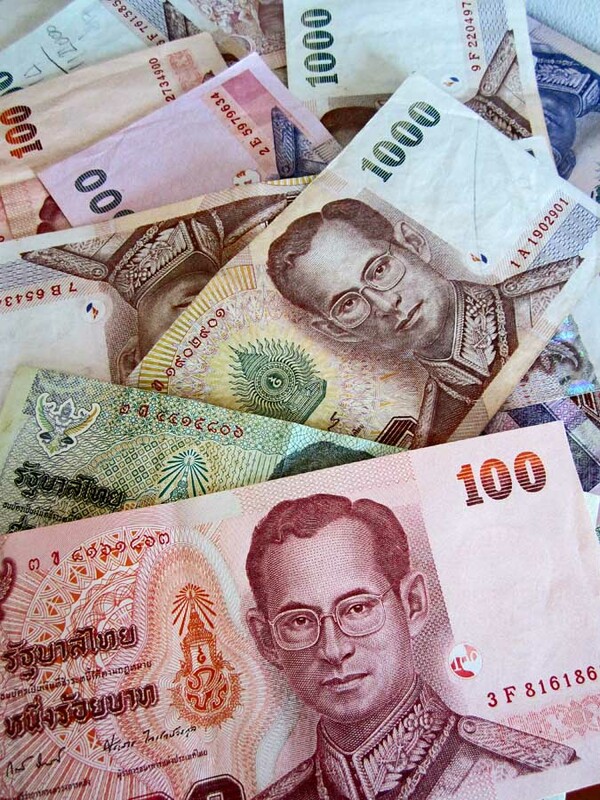 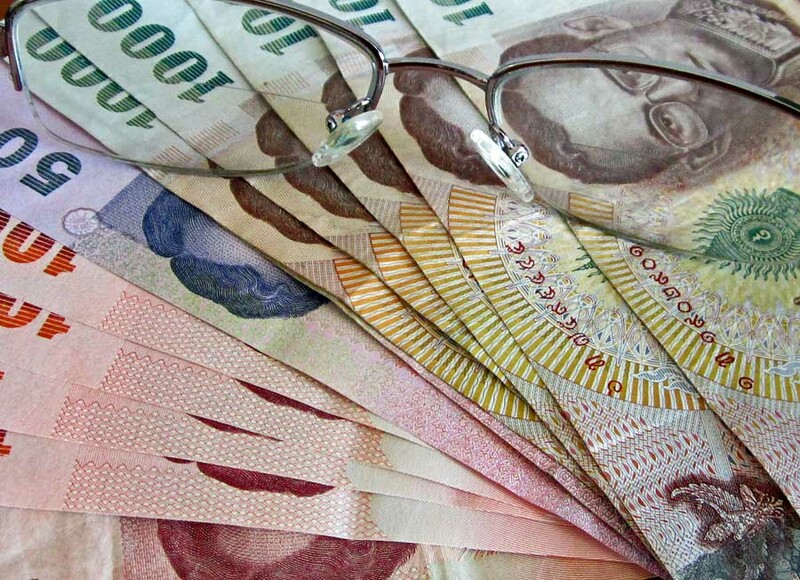 A close up of Thailand's currency notes and a pair of bifocals lying on top. A person's hand clutching Thailand's currency notes of 100, 500 and 1000 Bahts against a rough navy blue background.